Manila, Philippines – Camille “CJ” Hirro did it again. 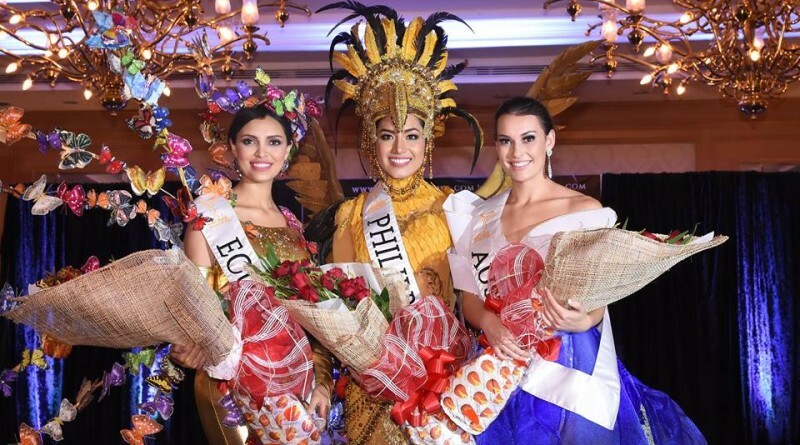 After winning Darling of the Press during the press presentation last September 15 at the Crowne Plaza Galleria Manila, Miss Philippines’ eagle-inspired national costume designed by renowned fashion designer, Edwin Uy, topped the “Best in National Costume” Award. Miss Australia Caitlyn Henry and Miss Ecuador Angela Bonilla placed second and third respectively. The event was held event held at the grand ballroom of Heritage Hotel in Pasay City last September 16, 2016. Miss Philippines CJ Hirro during the National Costume Competition. The finals night of Miss Global 2016 will be held on September 24 at the PICC Plenary Hall hosted by Miss Universe 2005 Natalie Glebova from Canada. Miss America 2014 Nina Davaluri will also attend the as a special guest judge.